Felt flowers are undeniably cute which is what drew me to Creative Chickpea on Etsy. 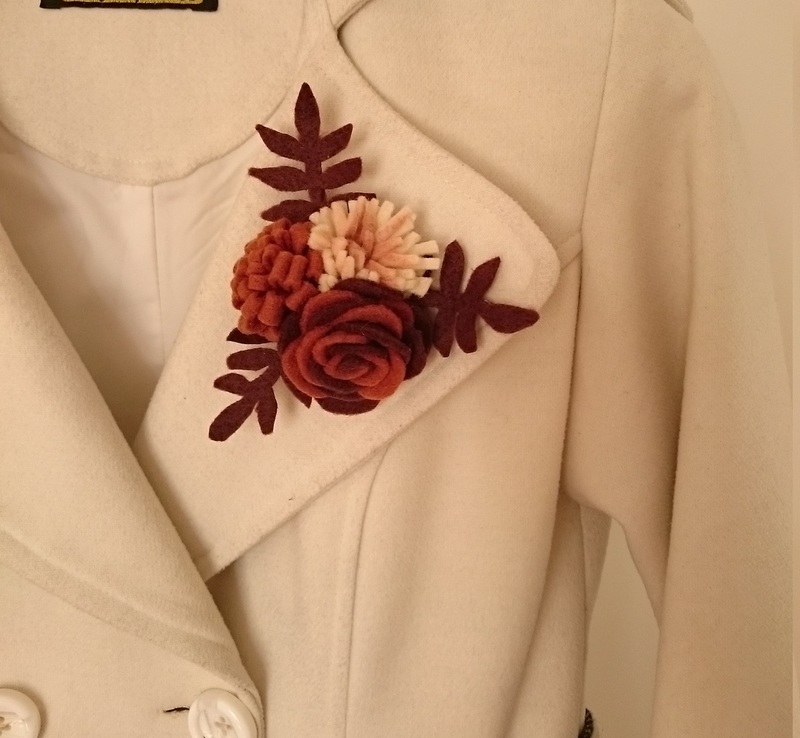 There's a wide selection of gorgeous felt flower creations on there - it's definitely worth a look! 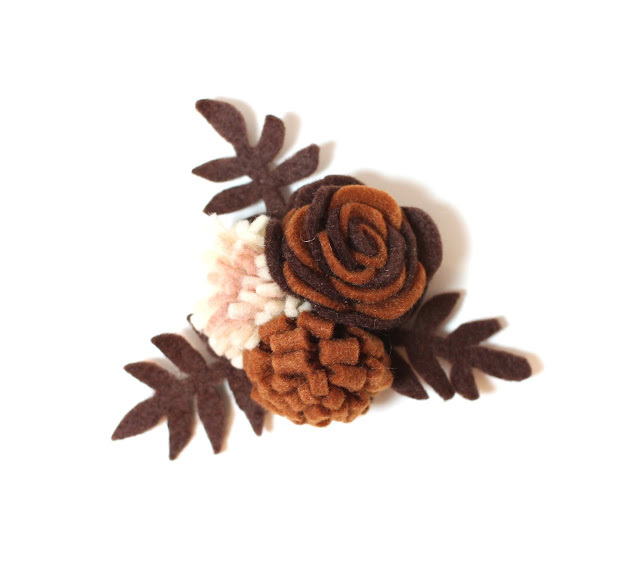 Here is my felt flower brooch! It's made from three different flowers with some leaves behind. I love the colours - it's perfect for autumn. I plan on pinning it to a rust coloured coat that I have - and I think that it'll look beautiful. As you can see, the brooch looks lovely. It's just so elegant and pretty - I'm in love! If you can't see anything that's your style on there then go ahead and pop a message through on Etsy - custom requests are welcomed. Give Creative Chickpea some love on Instagram by clicking here.